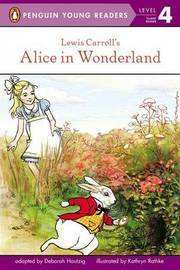 Written by Lewis Carroll in 1865, this story remains a well-known classic to this day. It is the tale of a girl named Alice who falls down a rabbit hole and meets extraordinary creatures. Deborah Hautzig lives in New York, New York. Kathryn Rathke lives in Seattle, Washington.